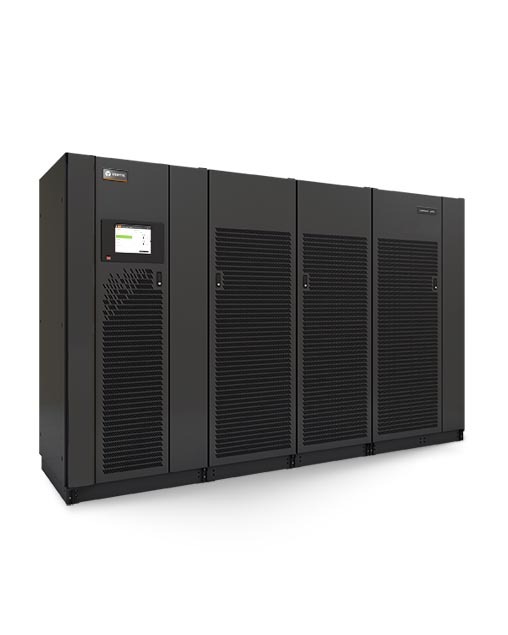 True on-line, double conversion, three-phase UPS system to support a maximum efficiency data center design. It provides high operating efficiency, high power capacity, and low PUE and TCO. Features a small footprint, and a large 10.4” touchscreen. Offers capacity-on-demand without additing footprint. Single module and 1+N Distributed Bypass available.